Juan Cossio uses an airbrush as his principal working tool to build up these beautifully detailed paintings. The figures in his work explore movement within the human form and are often placed in functional, minimalistic interiors. This leaves each of Cossio's paintings devoid of a context in time or place and means that it is the women's facial expressions and the placement of their bodies which primarily do the talking in these pieces - rather than the clothes they wear or the spaces they inhabit. Cossio's work combines a classical approach to compositional arrangements with contempoary, minimal and empty spaces. Juan Cossio was born in Madrid in 1960. He studied Art and History at the city's University Complutense and between 1980 and 1985 he worked as a Copyist at the Museo del Prado. In 1984, he studied under renowned Spanish realist, Antonio Lopez Garcia in the Circulo de Bellas Artes of Madrid to learn about contemporary realism first hand. From 1986, Cossio was a student of Manuel Franquelo, one of Spain's leading hyper-realist painters. 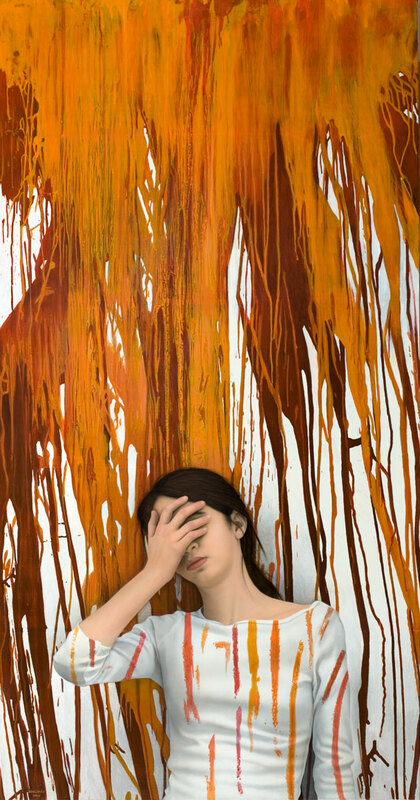 Juan Cossio currently lives and works in Madrid, and his work has been exhibited internationally.